-3 bedrooms (3 beds 2 pers) including one with 2 beds of 90 which can be only one of 180. The other two bedrooms are with beds of 140. The three bedrooms upstairs have French windows overlooking the garden or the courtyard there is also a large balcony. game room with pool table, ping-pong table, darts, big screen TV + wii. - large spacious room with two beds of 90 which can be one of 180 and integrated bathroom with wc. View of the terrace on the park and the poolCour closed of 2 000 m² (+ 2 000 m² of garden). Heated swimming pool 6 x 12 m, treated by salt electrolysis, chemical free, exclusively at private house in the center of a terrace in a green environment. A sheltered terrace of 36 sqm is located due south adjoining the cottage, facing the swimming pool, for lunch, with a view of the old oaks. It all started very badly as we booked 2 weeks( 21july till 4 August )at the beginning of the year for the proprietor to realise some weeks later that the prices advertised were winter once not summer once so I got an email from him ,letting me know that he was refunding our deposit and cancelling our holidays, needless to say we had booked the whole itinerary around Landeronde and hotels on the way there, we were devastated after days of researching in one instant we were snubbed ! After few exchanges we eventually compromised on one week only ! The house is within a farm with pigs ; sheeps , geese , cockerel etc and lots of flies! He was not interested to help , he never contacted us prior to our arrival as promised on the booking, not even replied to my calls to find out the address of the property or my emails . All I wanted is some sort of compensation for having to sleep in a room infested with mice and being woken at 7 every morning ,all though he gave us the tax de sejour free of charge which is good ,but we paid top dollar for this accommodation and I don’t feel is enough, I felt really bad for my mum which I only see once a year who had to sleep in such conditions ( we slept in the main house with our 4 young children )and that did totally spoiled our holidays . Nous avons passé de très belles vacances dans ce gîte particulièrement bien équipé : piscine, baby foot, billard... Les enfants ont passé une semaine magnifique ainsi que nous même. Le gîte n'est pas très éloigné des plages, environ 25 minutes. Nous recommandons cet endroit pour profiter de l'océan et ensuite se détendre au bord de la piscine et profiter du jardin. 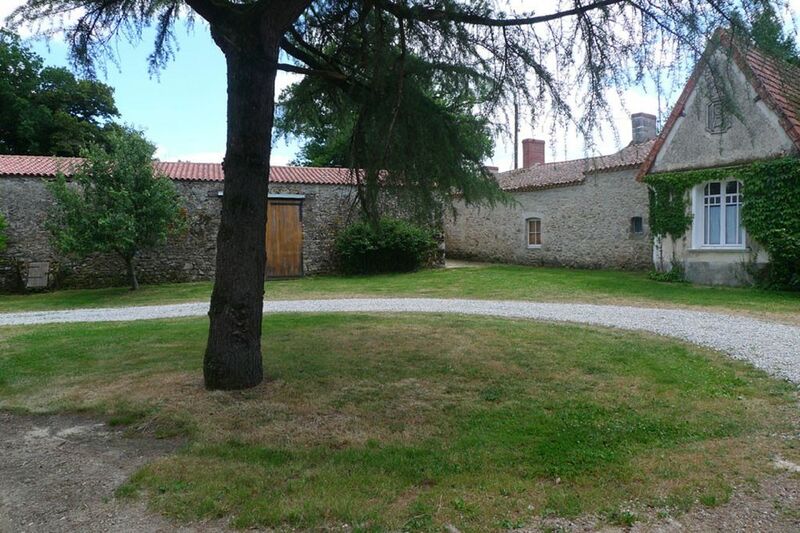 Cette maison en Vendée est parfaite pour un séjour détente en pleine campagne (avec des chevaux au bout du jardin!!!). La proximité avec les propriétaires n'est absolument pas gênante : ce sont des gens à la fois discrets et prévenants! Tous les équipements loisirs (Baby foot, ping-pong, billard, jeu de fléchette...) ainsi que la superbe piscine nous ont permis de passer un séjour reposant tout en occupant au mieux les enfants! Possibilité de nettoyage du gîte moyennant une somme forfaitaire de 75 € à la fin du séjour ainsi que la location du linge de couchage (draps et taies) pour la somme de 20 € par lit et par semaine.